Instead of searching for the best coated tube, consider using tubing that doesn't rust. 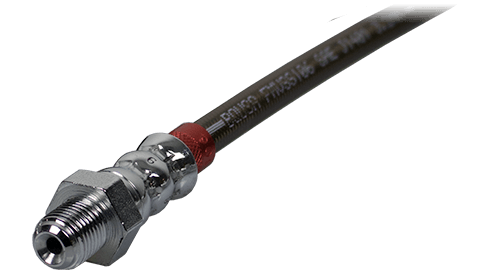 BrakeQuip FuelFlex tubing is light, compatible with modern fuels, and easy to plumb. Our popular push-connect fittings make for quick and easy repairs or replacement of fuel injection systems. From the straightened coil through smooth bends to perfect flares, our line of premium tube-working tools take you from a sound beginning to a professional finish, every time. 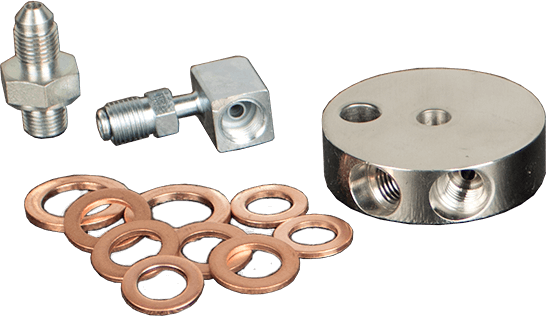 Copper washers, specialized adapters, and everything in between. BrakeQuip offers a full line of standard and problem-solver fittings for your application.